Washington is planning various moves to "send signals" to Ankara indicating that its threats about stopping the delivery of F-35s due to its planned acquisition of Russian S-400 systems are serious, Reuters reported, citing Katie Wheelbarger, acting assistant secretary of defence for international security affairs. Wheelbarger added that "decisions come up constantly" to pause the delivery of certain "things" that are required for the consequent delivery of the jets themselves. "There's a lot of things in train that can be paused to send signals to them [that we're serious]", she said. Another option that the US plans to use in order to convince Ankara to ditch buying the S-400 is finding an alternative to Turkey's "engine depot", allegedly referring to an F-35 engine overhaul depot in Eskisehir, Turkey used in the jets' production line. The alternative might be situated in Western Europe, Wheelbarger added. The assistant secretary of defence further explained Washington's position that under no circumstances will F-35s be delivered to Turkey if it receives Russian air defence systems. "The S-400 is a computer. The F-35 is a computer. You don't hook your computer to your adversary's computer and that's basically what we would be doing", she said. Spokesman for the F-35 programme Joe DellaVedova earlier told Turkey's Anadolu Agency that soon two additional F-35s will be delivered to a US air base, where Turkish pilots are learning to fly them. He further stated that the preparations for the delivery of the jets to Turkey are going as planned "until otherwise directed". 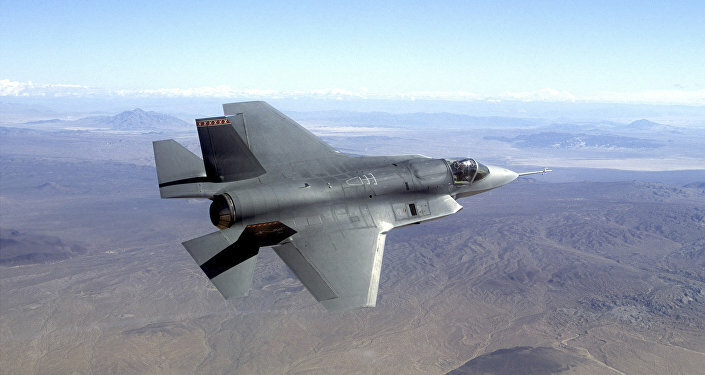 The fate of the 100 F-35s that Turkey has ordered from Lockheed Martin remains in question; because the US Congress has expressed concern the S-400 systems ordered by Turkey from Russia in 2017 may reveal the F-35's weaknesses and transfer the data to Moscow. American lawmakers have tried to halt the delivery of the jets in a bid to force Ankara to ditch the deal with Russia. Their fears were recently supported by several top Pentagon officials, who have advised against transferring F-35s to Turkey if it receives Russian S-400s. Turkey has repeatedly refused to do so, reaffirming its determination to acquire both F-35s and S-400s. Ankara has also claimed that it was forced to buy Russian systems, as Washington had refused to sell its Patriot air defence systems to it. The situation has been further complicated for Washington as Turkey produces engines, cockpit displays and the landing gear used in the assembly of F-35s. In addition to this, Turkey points out that it has already transferred the money for the first batch of jets.